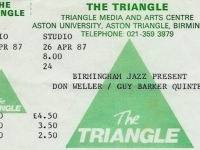 The Triangle was located in Gosta Green right in the middle of Aston University and the Birmingham Institute for Art & Design. 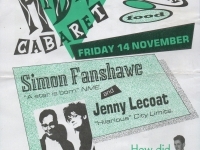 It housed the fabled experimental Arts Lab group, members of whom would go on to create great things in Theatre and Audio Visual disciplines. 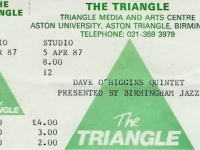 It also housed the wonderful and much missed Triangle Cinema. 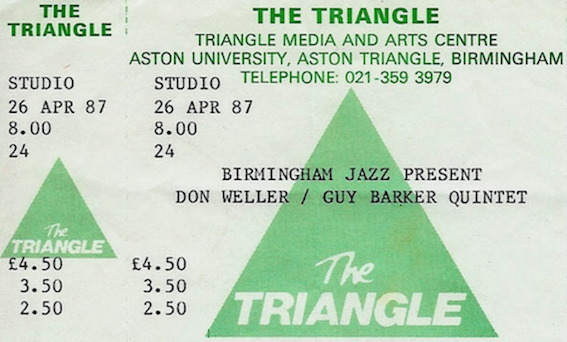 But it was as a live music venue that it was probably best known. 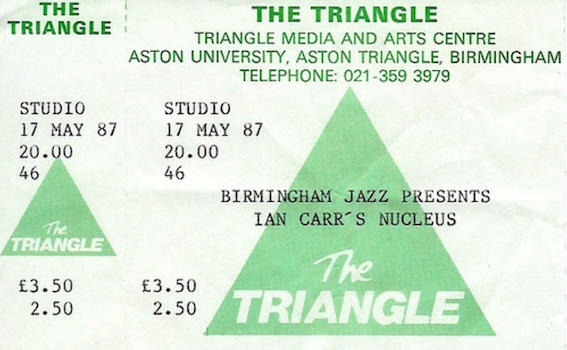 In my memory, it was great venue and played host to some brilliant indie bands in the mid 80’s. 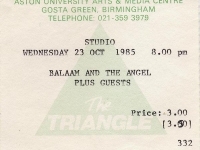 This ticket stub belongs to a good friend of mine, Dave Kal, and was for a Balaam and the Angel gig which I also attended, bizarrely, with my dad! 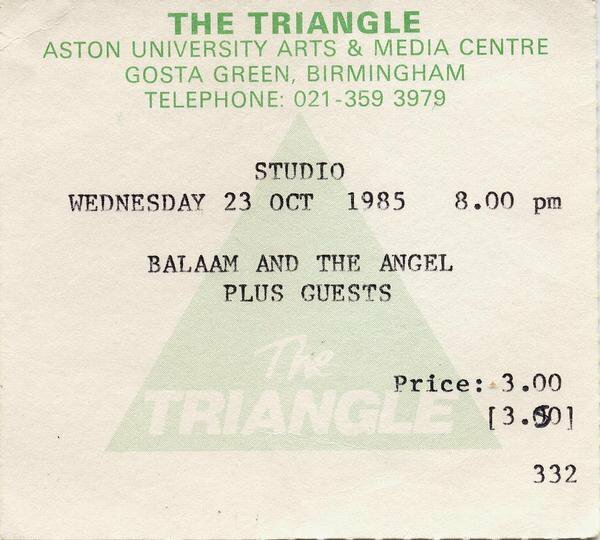 Signed to local label Chapter 22 Balaam had fleeting success but were highly regarded in the Goth scene. Hi there. 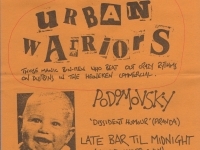 I was wondering if anyone remembers the band The Copy ? 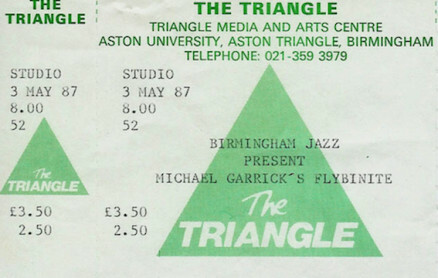 I was at the Copy gig at the Triangle. 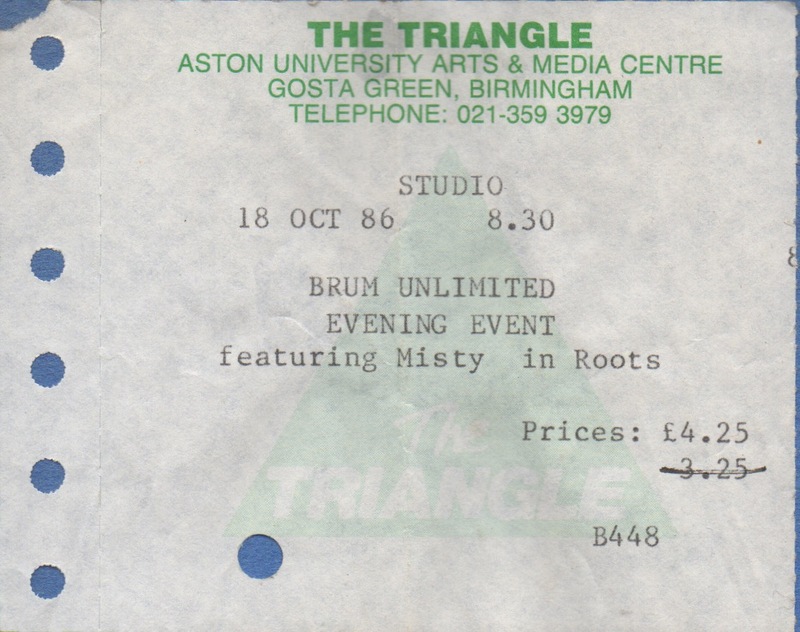 Somewhere around at home I still have the tape they were selling at the time. I’m not sure if it still plays. 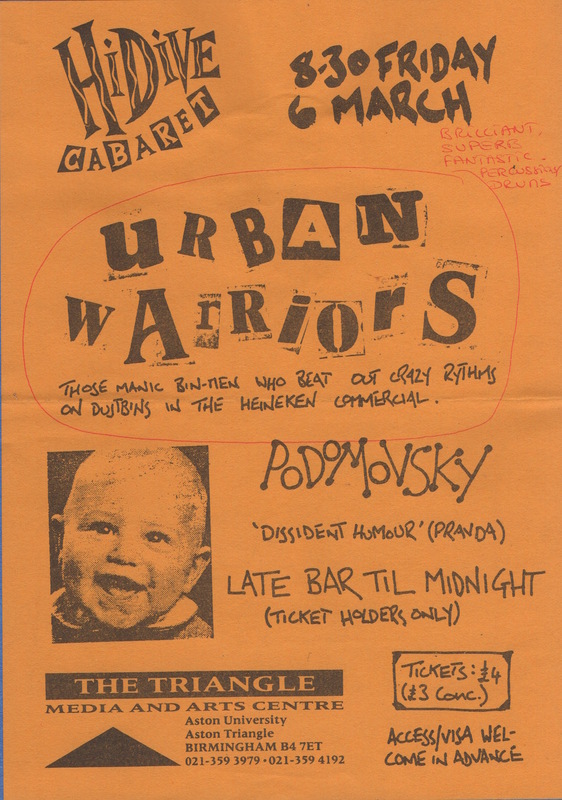 The only other gig I remember from the Triangle was the Go-Betweens touring for Liberty Belle… I don’t think the place lasted as a venue much longer. Well I have a digital cassette tape convertor if you ever find that tape William! 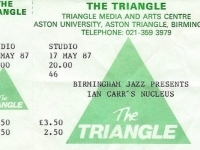 Triangle, Terry & Jerry, Hollywood Beyond, Colbert Hamilton & the Hellraisers, Gay John & the Dogettes, Have I missed anyone? 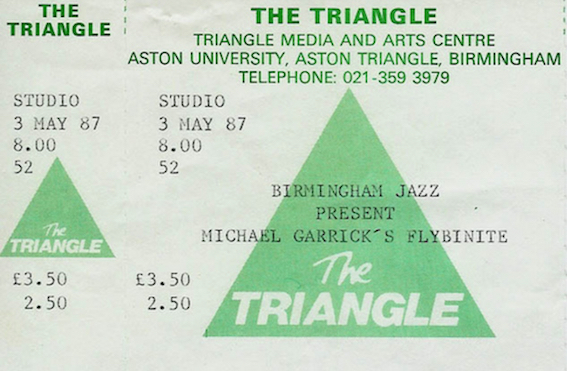 I was House Manager at the Triangle from 1987 and remained there until the cinema finally closed in summer 1994. 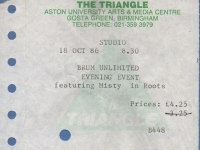 The Studio closed in summer 1988 so I came in towards the end for live events so to speak. 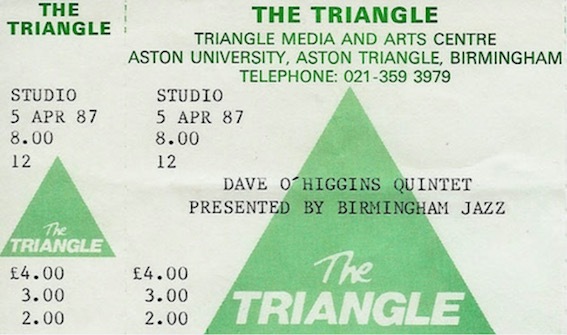 We also had some live speakers at Birmingham Film & TV Festivals like Tilda Swinton, Terence Stamp, Alan Bates, Jack Cardiff (cinematographer for Black Narcissus, The African Queen). 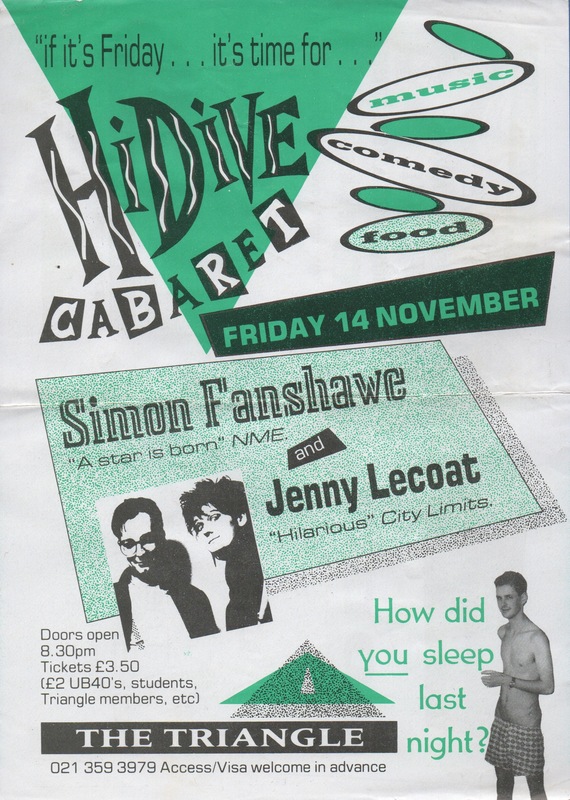 A few of the gigs/theatre nights I managed: Courtney Pine (my first night managing and it sold out), Julian Clary and Fanny the Wonder Dog, Latin Quarter, Gay Sweatshop theatre Co. 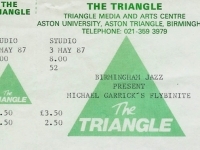 I am digitising all the programme brochures I collected when I worked at the Triangle. 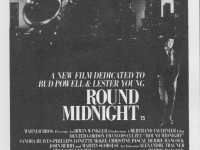 Above link should let you view/download them as I post them up.